Third-year neurobiology major Da’Marcus Baymon studies statistics and its role in the sciences. His goal is to attend medical school upon graduation. 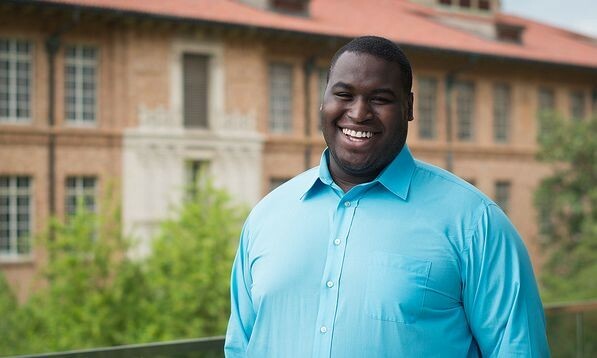 Accompanied by his own singing voice, Baymon reflects on his time here at the university.